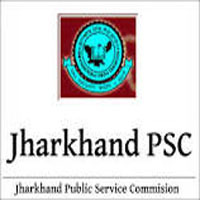 JPSC Jobs Recruitment Notification 2018.Jharkhand Public Service Commission, JPSC inviting applications for the positions of Assistant Public Health Officers.Interested and Eligible candidates can apply for the positions. Last Date for Submission of Application is on October 14th, 2018..
MBBS degree holders from a recognized university can apply for JPSC recruitment. Minimum age for contender to apply is 21 years, maximum age is 35 years. Through written examination contenders will be recruited out. Applicants can apply for JPSC recruitment only through online mode from 31st August 2018 to 14th October 2018.
http://www.jpsc.gov.in/exam_files.php?id=77 is the link for contenders to apply directly.